For the past few months, a lot of internet space has been used on the shortcoming of a combination of Ted Thompson, Mike McCarthy, Mark Murphy, and the entire Packers infrastructure. And while it holds merit on the surface, taking a deeper look at the acquisitions through the NFL Draft shows the Packers are quite solid at acquiring good players. While none may be of the caliber of guys like Aaron Rodgers and Clay Matthews who took the league by storm and are sure fire Hall of Famers (or were on a HOF track in Matthews), there are plenty of longtime starters and impact players. So let’s take a look at the past five Packers NFL Drafts and see how each player has done. I won’t cover the 2017 Draft since it’s way too early to tell what they may become, and even the 2016 class is iffy since it’s only Year 2, but I’ll do the best I can. The 2012 class had a lot of ups and downs among it. And being a positive person, I’ll start with the ups. Nick Perry took some time to get healthy and show his potential, but he has emerged as a very good player. For most of his career he was a top-tier run stopping linebacker, but the past two years he has taken his pass rush to another level. With 11 sacks last year and 7 so far this year, the USC product and 28th Overall Pick has been a good one. At 62nd overall, the Packers got a good corner who couldn’t stay healthy in Green Bay despite a great rookie season in Casey Hayward. He then went to the Chargers before the 2016 season and has become an All-Pro corner. In Round 4, the Packers took their heart and soul in Mike Daniels. The undersized defensive lineman from Iowa has become a force in his career. Then we get to a series of misses, most notably second round pick Jerel Worthy. He was starting to come around late in his rookie year after a slow start when he blew out his knee and never was able to make an impact in Green Bay. He has since found a home in Buffalo as a rotational lineman. The other four players, Jerron McMillan, Terrell Manning, BJ Coleman, and Andrew Datko combined to play in 39 games. But at late round picks, they aren’t as bad of picks as Worthy. I know that there’s a miss at the top of the draft, but let’s look at the positives. Eddie Lacy, end of his tenure be darned, was one of the best young backs the Packers ever had. The Offensive Rookie of the Year ran for over 1100 yards in each of his first two seasons and was seen as a foundational piece for the team before his conditioning issues amplified. 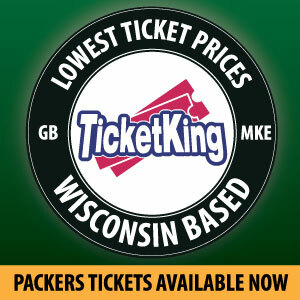 Perhaps the best pick made by Ted Thompson since Aaron Rodgers was in the fourth round at pick 109. 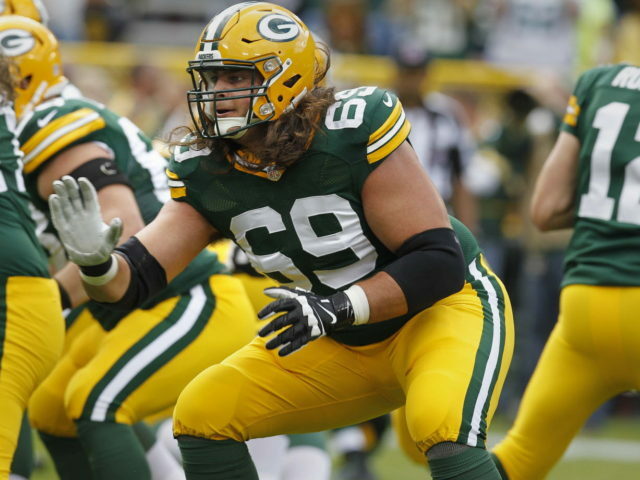 David Bakhtiari came into the league as a project according to almost every Draft prognosticator but he has come into the league and started from Game 1, becoming one of the premier left tackles in the game today. In Round 4, JC Tretter was a great swing lineman/spot starting center for four years before he cashed in during Free Agency. Micah Hyde was the defensive back equivalent of Tretter, filling everywhere and doing a solid job. He was as assignment-sure as it gets. He is now getting All-Pro talk now that he has a consistent position in Buffalo. And seventh-rounder Sam Barrington was better than he had any business being as the 232nd pick, starting 8 games in Green Bay. And both Johnathan Franklin and Charles Johnson were promising players who had their Green Bay careers (and entire playing career for Franklin) derailed by injury. That leads to the biggest miss, and that is Datone Jones. Seen as a safe, smart pick on Draft Day, the UCLA product injured his ankle during his first camp after a great start, and never found a consistent role. Too lean to play 3-4 end, too big to play the elephant role at linebacker, Jones could get to the QB, but had troubles finishing. He has since bounced all over the league the past year. Josh Boyd and Nate Palmer were decent rotation players/special teams guys for late rounders, while receiver Kevin Dorsey never made the team. While there may not be a superstar from this class yet, it has produced a lot of very good players. At the top of the list as far as picks is first rounder Ha Ha Clinton-Dix. 2017 struggled not withstanding, he is one of the top young safeties in the game. With 10 interceptions and 4.5 career sacks in three-plus years, he is on a good pace. But the real star may be Davante Adams. The second rounder was only 21 when he was drafted, and has only gotten better each passing year. He is now undoubtedly the #1 receiver on the team with some of the best footwork and route running in the NFL. Another key player from the class is fifth rounder Corey Linsley. The starting center has held down the job since Game 1 of his rookie year when healthy. Third rounder Richard Rodgers hasn’t set the world on fire but has been a solid, sure handed tight end who was on the receiving end of one of the biggest plays in team history in the Miracle in Motown. Late round picks Demetri Goodson and Jeff Janis have become core special teamers. The biggest misses were Khyri Thornton and Carl Bradford. Thornton especially tested well but flamed out of Green Bay without ever suiting up, the highest Thompson draft pick to never make the team. Bradford had the college production and motor, but just didn’t have the explosiveness to thrive in the NFL. Last is injury prone local legend Jared Abbrederis. He never quite recovered from his rookie ACL injury and was recently released by Detroit. There’s still some time for this class to matriculate a little better, but there are definitely some solid players here, even if there are no stars. First rounder Damarious Randall has become the biggest playmaker in the secondary despite his occasional struggles with consistency. With 10 interceptions already in his short career, including 4 this season, he looks to have solidified his role as the slot corner. The same can’t be said for his Combine roommate and friend Quinten Rollins. The Miami (OH) product has shown flashes of being a ballhawk, but his lack of foot speed and the confidence drop after a tough second year, coupled now with an achilles injury, has limited his development. But the next four picks are currently making an impact. Ty Montgomery, Jake Ryan, Brett Hundley, and Aaron Ripkowski are all seeing the field in 2017. Albeit Hundley has been up and down in his time replacing Aaron Rodgers. But Montgomery was seen as a new wave of hybrid running backs to take the league by storm before two rib injuries have dented that perception. Jake Ryan isn’t flashy, but he makes sure tackles. And the Ripper has taken over the fullback job and hasn’t looked back. Sixth rounders Christian Ringo and Kennard Backman were nothing special. Here’s where it gets tricky. It’s way too early to make a final judgment on this class, despite the attempts by Packers twitter to do so. Kenny Clark was the youngest player in the league as a rookie and it showed but he has had a great year in 2017 and looks to be one of the more promising defensive linemen in the league. Jason Spriggs has been a disappointment so far as a second rounder, but he was solid in Pittsburgh and hopefully can build off that. Same with Kyler Fackrell. The long armed Utah State product has struggled in his short career on defense, but is a core special teamer and had arguably his two best games as a linebacker the past two. The other potential star is fourth rounder Blake Martinez. The Stanford product was trusted with the communication headset as a rookie and came back in 2017 with a better grasp of the NFL and has been exceptional. Already with 72 tackles on the year, he looks to be one of the better picks in recent memory. Dean Lowry has taken hold of a starting job as a fourth rounder as well and is solid. Trevor Davis is close to breaking a return but hasn’t been able to crack the receiver rotation, while Kyle Murphy was showing signs of being a potential starter or at least swing tackle before falling to an injury. So, with that all being explored, there have definitely been some bad picks, there is no denying that. Datone Jones, Jerel Worthy, and Khyri Thornton did not pan out. But many other guys did who many didn’t think would. As Packers fans, I understand the rush to judgment over a missed high pick. But finding guys like David Bakhtiari, Blake Martinez, Corey Linsley, and Mike Daniels is a great job done by the front office. The Packers Draft Classes have been better than we give them credit for. I have no doubt about that. This entry was posted in Authors, Mike Wendlandt, Packers 2017-2018 Season, Seasons and tagged Green Bay Packers, NFL Draft, ted thompson. Bookmark the permalink. That’s when I stopped reading since if Mr. Invisible,Inconsistent is the first ‘ UP ‘ on the list, what’s the point of continuing? He has been extremely solid in his career and has shown strong flashes as a player the past two. Seven sacks don’t lie, and neither does his consistent ranking among the best run stopping outside linebackers. He sets the edge really well. For picking 28th, that is a definite up. Even bad players accumulate stats and stats are mostly unearned credits. How many games does Perry win for the Packers with these flashes and how many games do the Packers lose because his failure to flash at all in games. Where was Perry vs Pitt because any defensive play/flash could have made a difference but alas,he missed another appearance in a game he is paid to show up for. This is an all too frequent stat with him and does not make him an ‘up’ except his own arse with false hype and hope going forward….6 years and counting. Was this article written by a relative of TT? I have no relation to the Packers General Manager. I wrote this to counter all the hot takes that the Packers have been a failure on Draft Day the past few years when that is far from the case. There have been some picks that didn’t pan out, but many more that have had success for the Packers. It’s why the team is the second most successful team in the NFL the past decade. Agree with you. But, then the coaching takes hold. MM, DC? Close with Rodgers carrying both sides, but coaching isn’t getting them to the superbowl any more. It’s the same. No change in offensive schemes and routes, and defense not containing or confident in the schemes. Stats will verify the above points since 2010. Agree. Edge rusher has to be the top priority. Yes, some very good players. My question is “Who’s responsibility then is it to get the talent to perform at a high level”? Answer: coaching!